Fun One Pager announcing the No Ideas launch party (last year) where all the type collapses upon scroll. 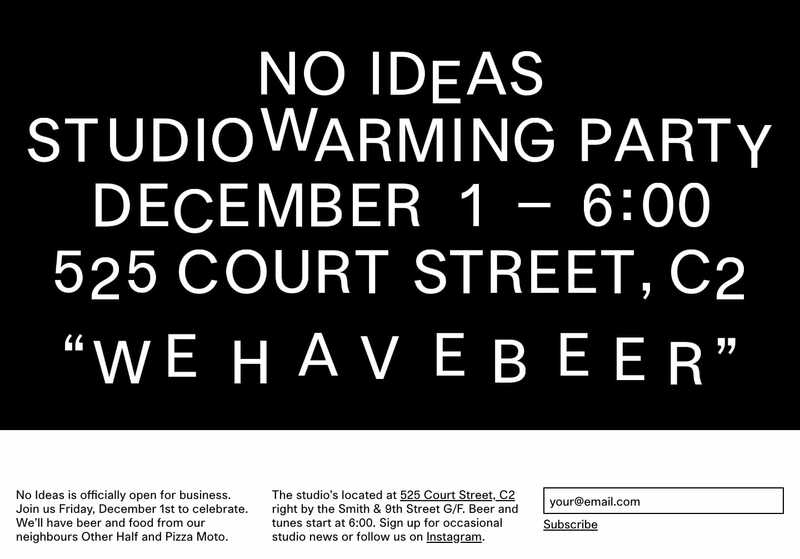 No Ideas Party December 1st! Beer! Pizza! Graphic Design!